On April 12, 2011, the Division of Property Management and Construction within the New Jersey Department of the Treasury issued a Scope of Work report discussing the logistics of a plan to remove "Pompton Dam" and "Pequannock Dam" located adjacent to the Topsoil Depot on Pomtpon Plains Crossroad in Pequannock and Wayne NJ. This project has been proposed by several organizations over the course of many years, it has been the subject of numerous news articles and sundry public meetings. This article is an attempt to educate the public regarding what is proposed, the benefits and risks of removal, and the history of the structures in question. It is hoped that this document will serve as a starting point for future research by a wide variety of parties and provide stable ground for educated opinions formed by both the public and those considering the removal of the dams at the state and county level. Given the risks of increased flooding in Pequannock, Wayne, Lincoln Park, and Little Falls, irreversible erosion of the riverbeds and banks, as well as damage to the Two Bridges Sewer facility, we must consider existant scientific studies provided by the Army Corps of Engineers as well perform an environmental impact study of the region prior to removing the 2 dams on the Pompton River located in Wayne and Pequannock, NJ. According to the Scope of Work provided by the Dept. of the Treasury, "permanently removing the Pompton Dam and Pequannock Dam." 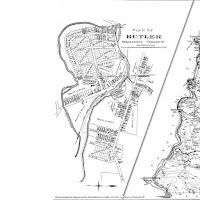 The same document goes on to note correctly that the dams were originally intended, over a century ago, to maintain the water levels in the Morris Canal system. 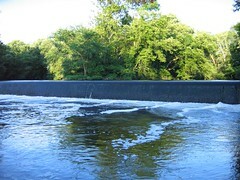 The Scope of Work also claims that current use of the dams is purely recreational, while those who dispute this claim that the dams slow the flow of water and create flood storage in the Pequannock Aquatic Park. Under the proposed work, both dams would be removed allowing water to flow unhindered downstream, where it is claimed the water would leave the region faster without ill effect to homes, businesses, bridges, and sewerage facilities in its path, again a point which is under-researched and much disputed as of this writing.